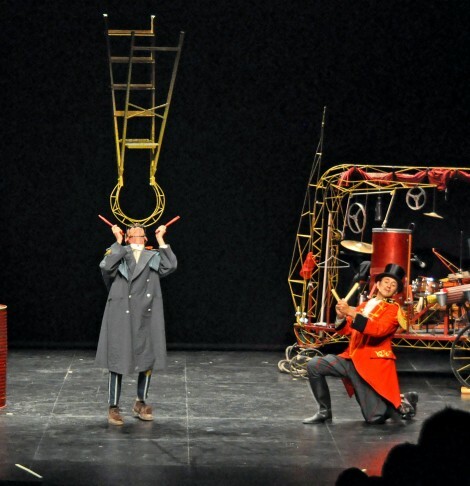 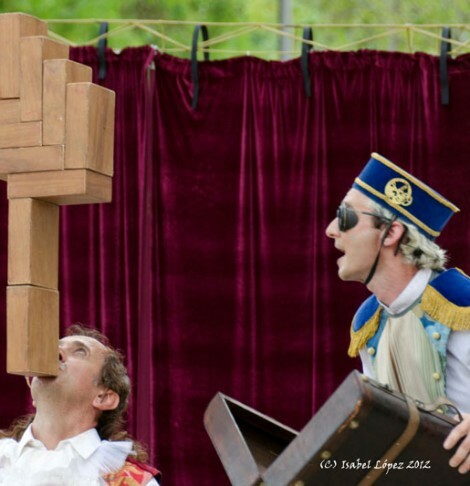 A circus-theatre show that carries us to a strange circus inspired by a kind of Jules Verne’s aesthetic. 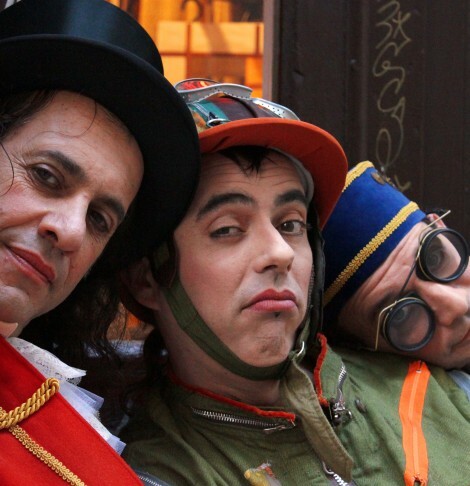 Three anachronistic characters, halfway between reality and fiction, transform everyday objects into incredible artistic material, and they do so in their own language, the charabia (French for gobbledygook). 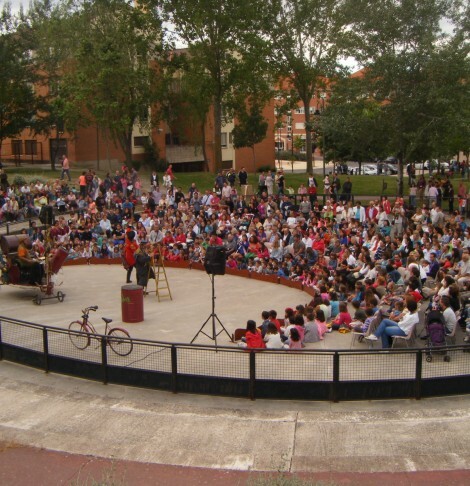 The scene gets gradually transformed by a weird huge wheeled cart that eventually turns into a circus ring, including a backdrop and a small orquestra. 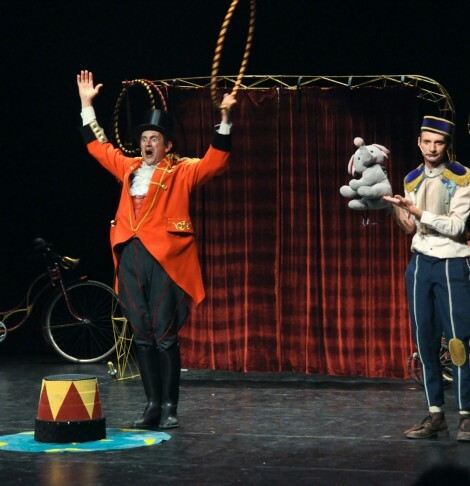 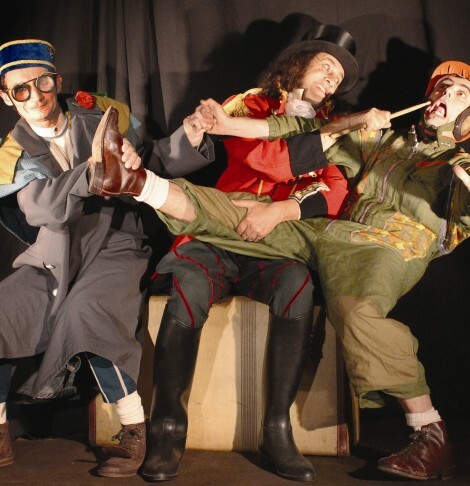 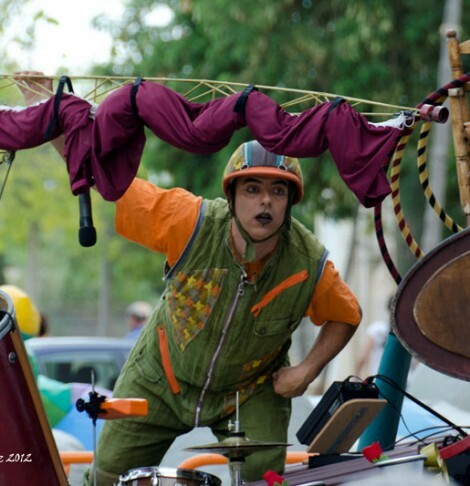 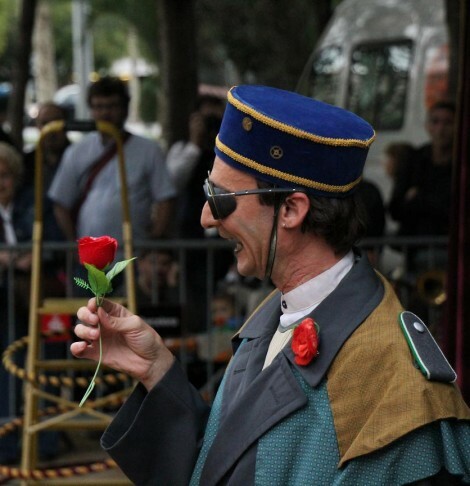 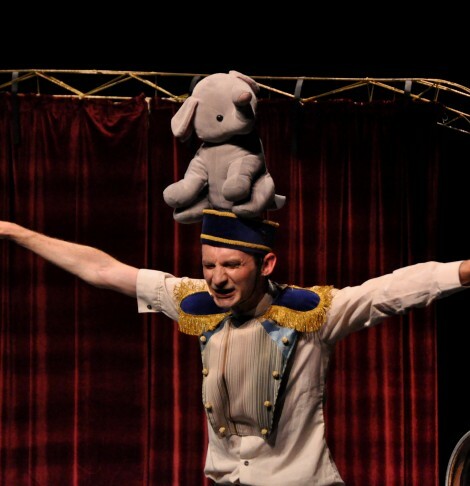 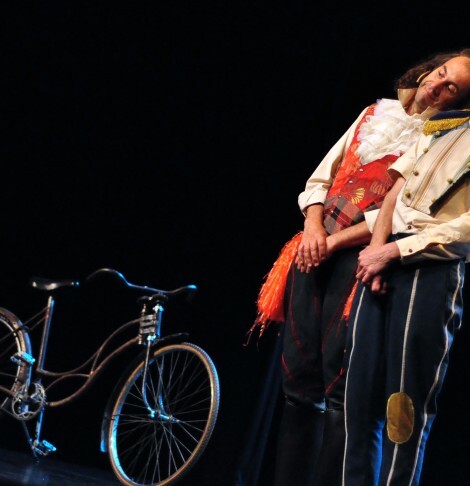 Charabia is a show in a clown tone for all audiencies, with poetic as well as humourous moments, while some times object manipulation takes a leading role.